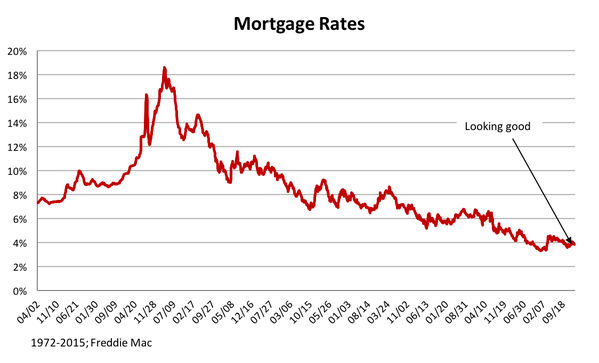 Mortgage purchase applications have been a consistently low throughout this economic cycle even though mortgage rates have been below 5% since early 2011. When adjusted to population growth, purchase applications are at the 2nd worst level ever recorded in American economic history. The only time purchase applications to population has been lower was in 2014. We had a slightly lower headline number in 2011 & 2012 but employment to population metric has grown as has population from those years. To reiterate what I have been saying since 2010, we don’t have enough qualified home buyers in America, once you excluded the cash buyer. Home buyers, and thus mortgage purchase applicants tend to fall into specific categories. We have fewer qualified applicants in each of these categories. 1. 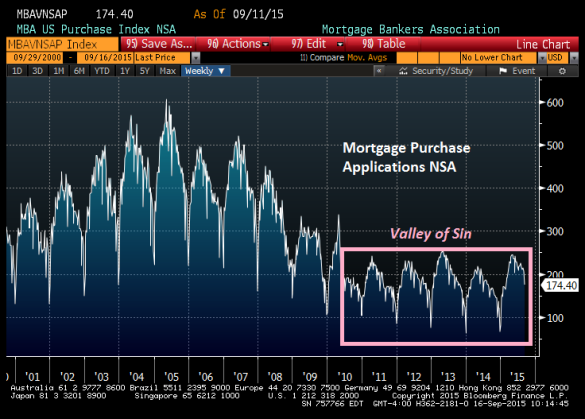 The move-up buyer: This buyer has been plagued with housing bubble debt from the last cycle. If you believe in the home affordability index, then a homeowner would need at least 28%-33% equity in order to have 20% down and pay transaction costs. Because we have seen nominal gains in home prices back to 2006 levels, having adequate equity to move up is less of a road block then it has been in recent years. The first-time home buyer: There are a host of reasons why there are fewer first time home buyers filling out mortgage purchase applications. The country’s demographic are young and so favor renting. This also means there are fewer dual income households and fewer children being born, a natural stimulus for home buying. Americans are getting married and having children later and there are also buying their first home later. Added to this is the lack of exotic loans which in the past created “fake demand” from first time home buyers. Because there are more renters, rents are higher and rent inflation makes it harder to save for a down payment. Because parents took a hit in the recent recession there are fewer parents able to “gift” a down payment. Lastly, many of the “starter homes” are being purchased with cash by investments buyers so there are fewer available for the mortgage purchaser. For both these groups economic capacity, not mortgage interest rates will determine their ability to buy. Demographics will be more favorable for housing in years 2020-2024. At that time we will have more people of “buying age” and more college educated dual income households having or ready to have kids. Recently, the missing mortgage buyers were replaced by a very strong number of, 20% above trend, cash buyers. We are starting to see fewer of these cash buyer along with a modest upswing in mortgage buyers. We can expect another economic recession sometime between now and 2024, but even so, the next decade has a better foundation for mortgage housing demand. The number of new home sold came in at 552K today, so expectations of a gain of 24% -41% for 2015 may need to be revised lower. The good note is that the trend of the last few months for revising the sales numbers down has been reversed.. However, unless we can get a solid 578K print in the last few months with no lower revisions, total sales estimates for 2015 will be a miss. New home sales numbers are down 7%, and when adjusted to population down 45% from 1963 levels. The only time since 1963 adjusted to population sales were this low was in the early 1980’s. 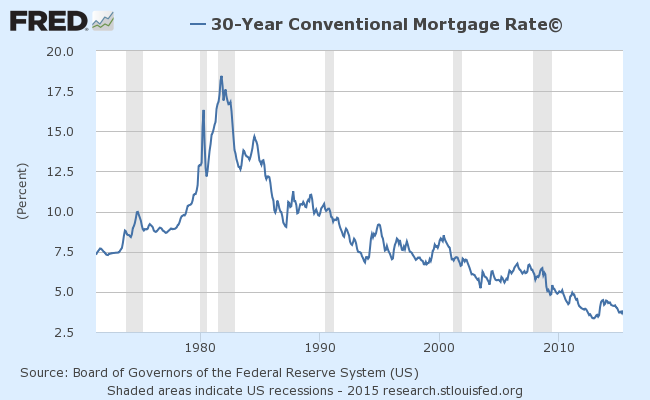 Slow and steady is the right call for housing, until the real supply demand curve gets back into the economy. Posted in Uncategorized and tagged Cash Buyers, Home Sales, Mortgage Purchase Applications, Mortgage Rates, New Home Sales. Bookmark the permalink. continued good commentary Lagan – thanks! Logan was right in 2010 and is right in Q3 of 2015 ( see Mallinson Appraisers Quarterly). FYI I have an appraisal order for a new Toll Brothers Home in Yorba Linda today. Its been a while since I appraised new residential construction in Orange County. By the way the purchase price for this new detached SFR is $$1,973,000.